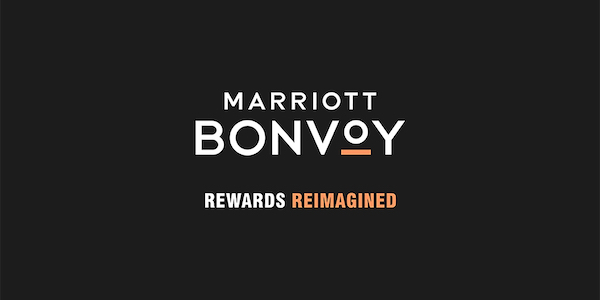 If you’re sitting on a large balance of Marriott Bonvoy points, or can acquire them through American Express Membership Rewards, your redemption options are not just limited to free hotel stays or transfers to airline frequent flyer programs. If experiencing once-in-a-lifetime events are more your thing, then Marriott Bonvoy Moments may be for you. What is Marriott Bonvoy Moments? But why are these appealing? Most of the Moments on offer come from exclusive relationships with arenas, sports teams or artists, usually meaning some kind of bespoke event or unique access that couldn’t otherwise be bought using cash. Experiences will either sell for a fixed points price, or are on auction. For example, right now you could redeem 35,000 points for two premium tickets to see The Eagles in Brisbane on the 9th March. 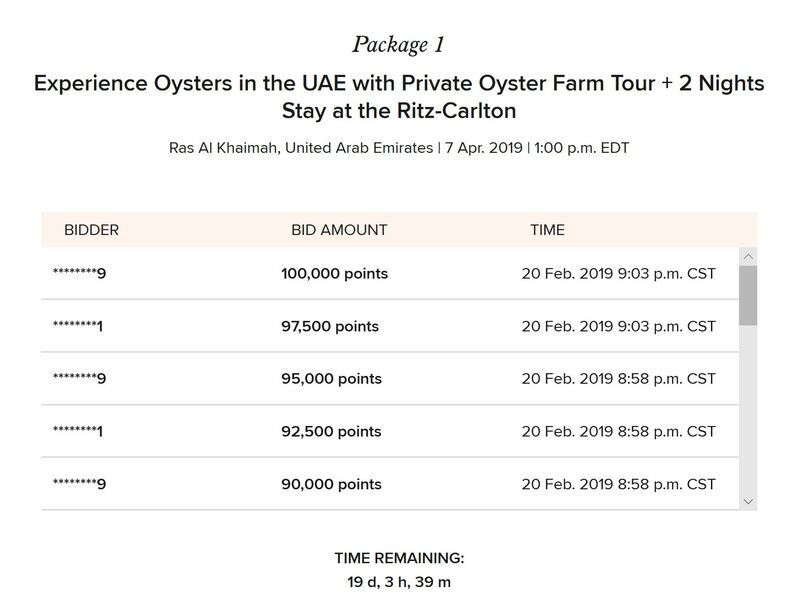 Alternatively, you could make a bid on this auction for a culinary tour for two, with oyster farm tour, rainforest hydrothermal experience + 2-night stay in an Al Bahar Beach Pool Villa at the Ritz-Carlton Ras Al Khaimah, Al Hamra Beach. At time of writing there have been 19 bids, bringing the current price to 100,000 points. Depending on the final price, it could be a decent deal if you’d be into this – an exclusive hospitality experience, and a stay in a hotel that would usually cost at least 120,000 points for a 2-night stay – in a base room! From my search, it seems that Moments start from 5,000 points, but are usually a lot higher. Single-package experiences, where this is only one package available. You bid on this event using your points and the highest bid at the close of the auction wins. Fixed-price experiences, which are generally limited in number and always have a set price. To win these packages, you have to be among the first bidders to redeem the required number of points. Once they are sold out, you will be unable to redeem for that event. These type of events are identified by a ‘Redeem Now’ button being displayed on the redemption screen. On occasion, Marriott Bonvoy offers private moments, which are auctions available to selected members. The process for finding Moments is relatively straightforward. You can select by type, date range, location, point range or any general keyword. Australian members should look at the Asia Pacific region to find events in Australian or New Zealand cities. Single-event auction events are live for a limited period of time, so you will want to be quick to submit your bid to maximise your chances of winning. The winning bid is based on a few variables, which include the number of members bidding on the package and how high they are willing to bid. Clearly, the higher you bid, the greater your chances, so looking for ways to maximise your points should be a major consideration. 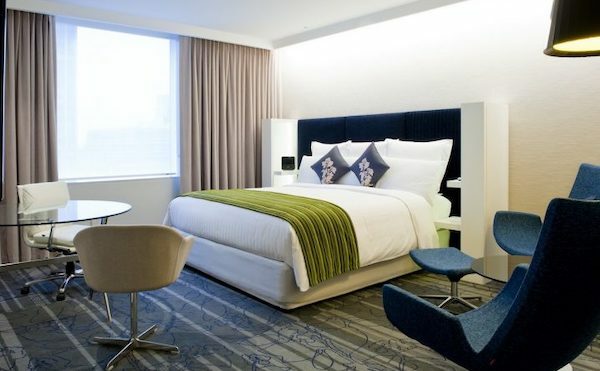 While there are no Marriott Bonvoy direct-earn cards in Australia, there are ways to accrue Marriott Bonvoy points indirectly through a variety of credit cards that are linked to American Express Membership Rewards Programs. In some circumstances it may also make sense to buy the points you need outright for a Marriott Rewards Moments redemption, or just an account top up if you’re a little short – especially if Marriott eventually offer points bonus or discount promotions. Moments will have particular appeal to those who travel a lot and have no interest in redeeming their points for further nights in a hotel. Admittedly, the availability of events in Australia and New Zealand could be better. Though if you travel frequently, and are looking to do something outside the norm while you’re overseas, you should be able to find some good value in this programme, given the good availability of overseas events. Have you redeemed points for a once-in-a-lifetime experience? Tell us about it below!